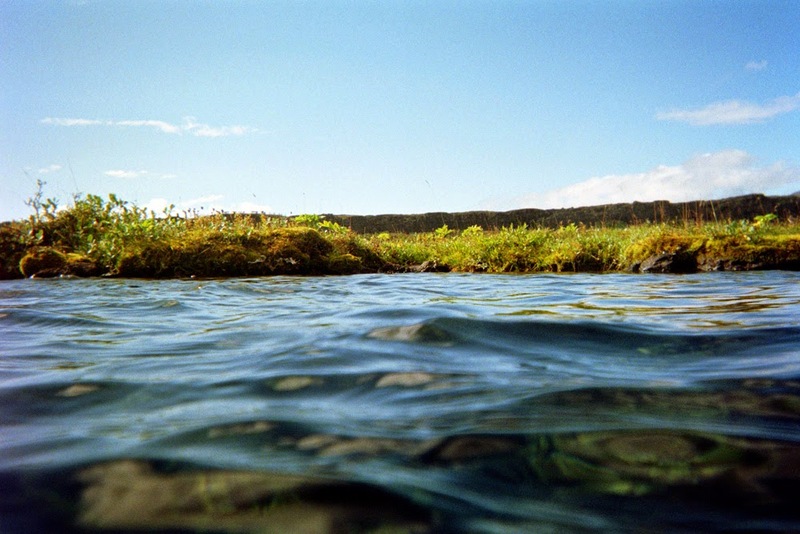 I've finally received the prints from my underwater camera from my trip to Iceland. 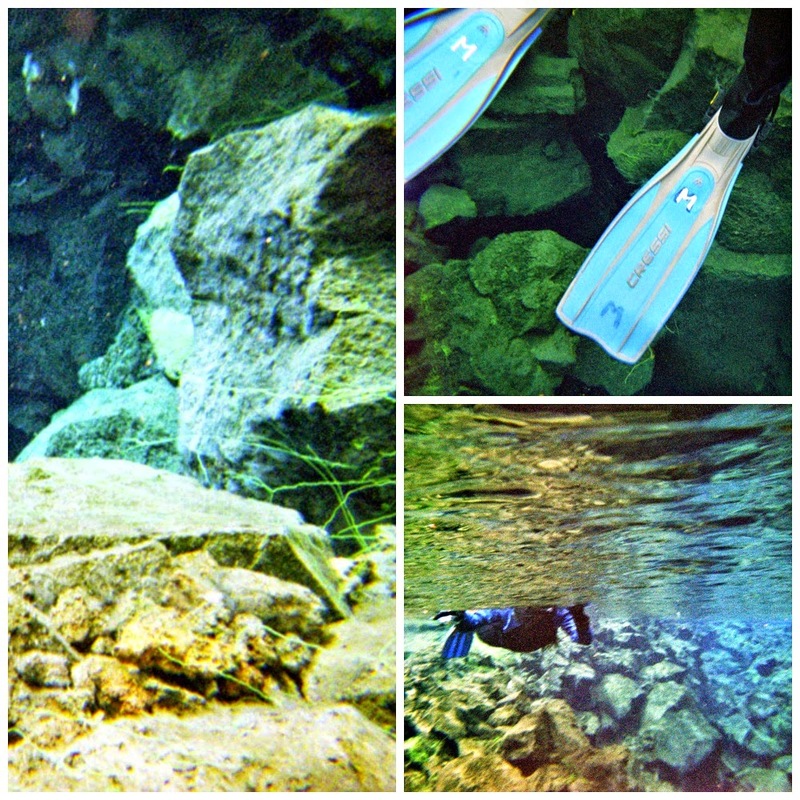 I went snorkeling between the techtonic plates in Silfra in Thingvellir National Park. What are the tectonic plates? 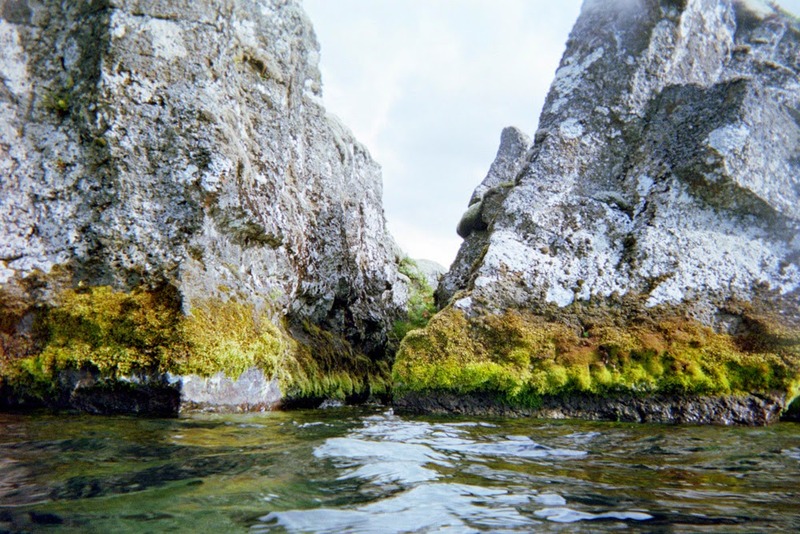 It is a fissure between the North American and Eurasion continents. Here are some facts about my experience. Omg yes. This is by far the coldest water I've ever swam in. 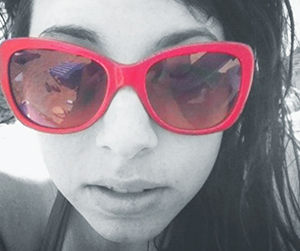 Your lips and hands will be freezing if you leave them under water for too long. But I am a wimp when it comes to cold anything so if I can do it you can do it. 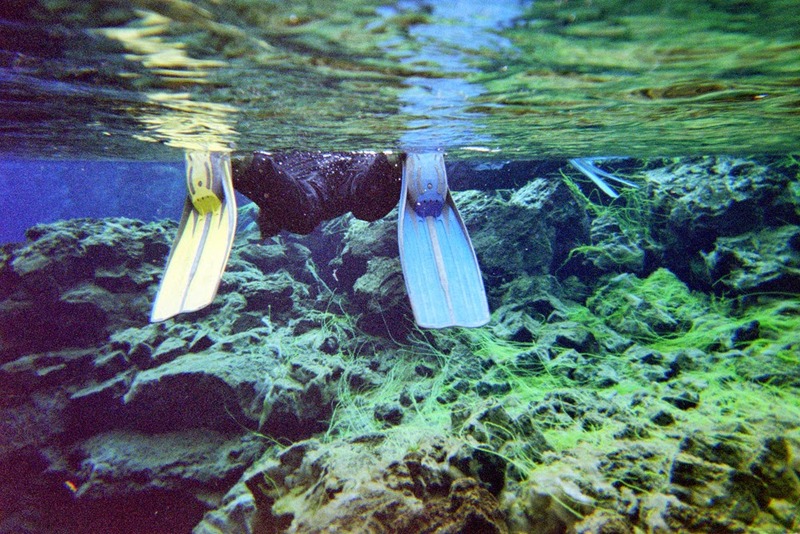 How Do You Snorkel in Such Cold Water? 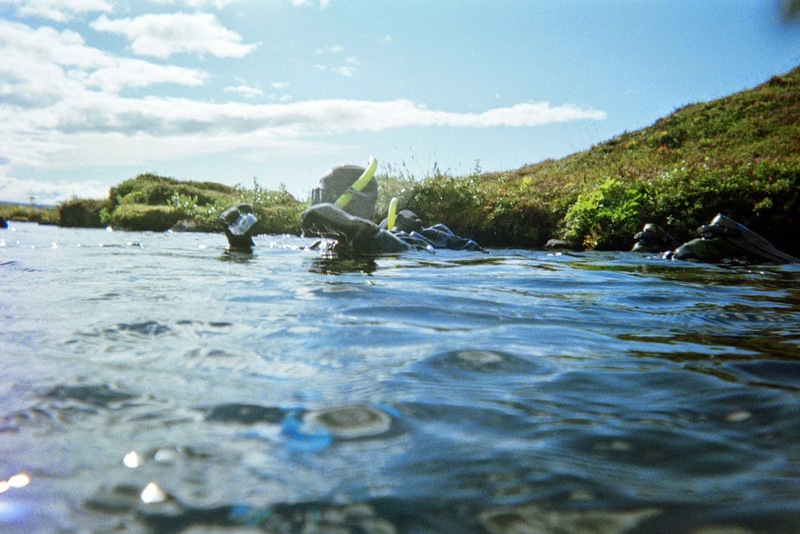 Because of the temperature in Silfra, you will be snorkeling in dry suits. These are essentially waterproof sleeping bags. Besides your face and hands, nothing else should be exposed to the water. A little water did drip down my suit towards the end of the swim, but it's not going to kill you. The water is an average of 35-40 degree Farenheit year round! I went in August, however, not sure if I would go in the winter or if that's even possible. Yes! And you should. 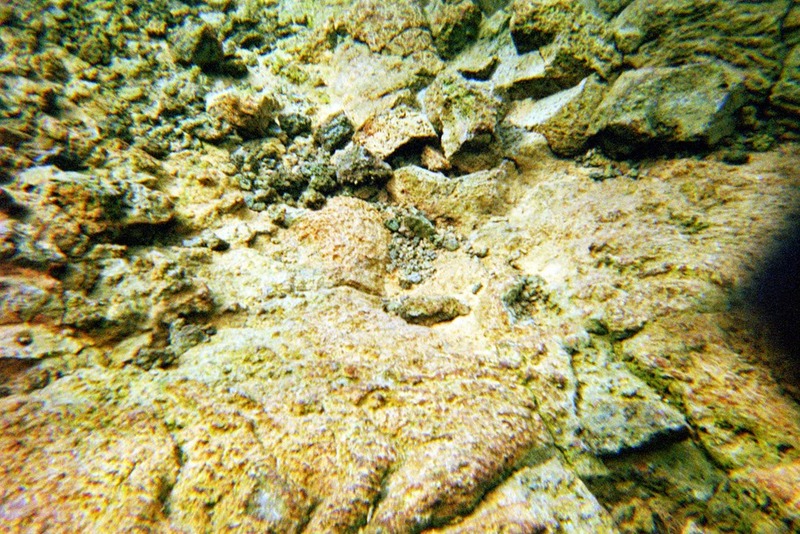 This is some of the cleanest, clearest water you will find and the upside to being in this freezing cold water is that you can taste it while you are snorkeling. 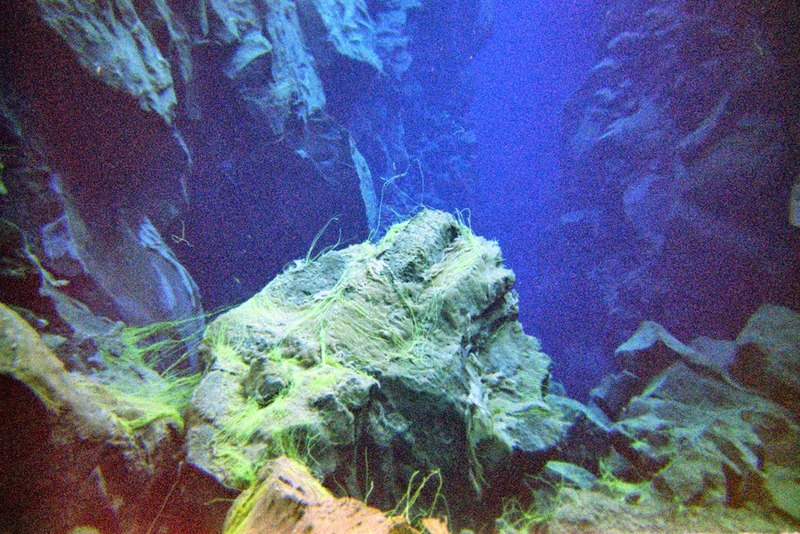 Are There Fish in Silfra? 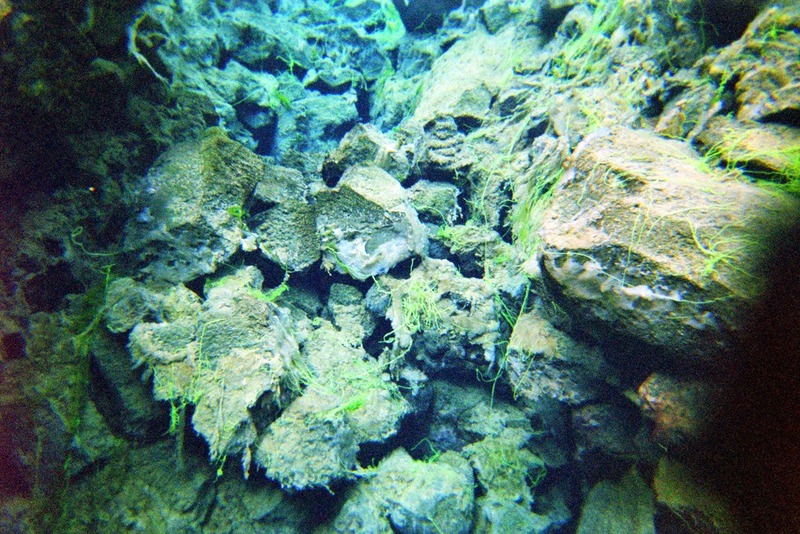 There are fish in Thingvellir, but not so much in Silfra; the water is too cold for any fish to be swimming around and I didn't see any at all while I was I was snorkeling. I thought I saw a fish, but it was a false alarm and our instructor gasped when I told her I thought I saw one. No Fish? Then What Will I See? 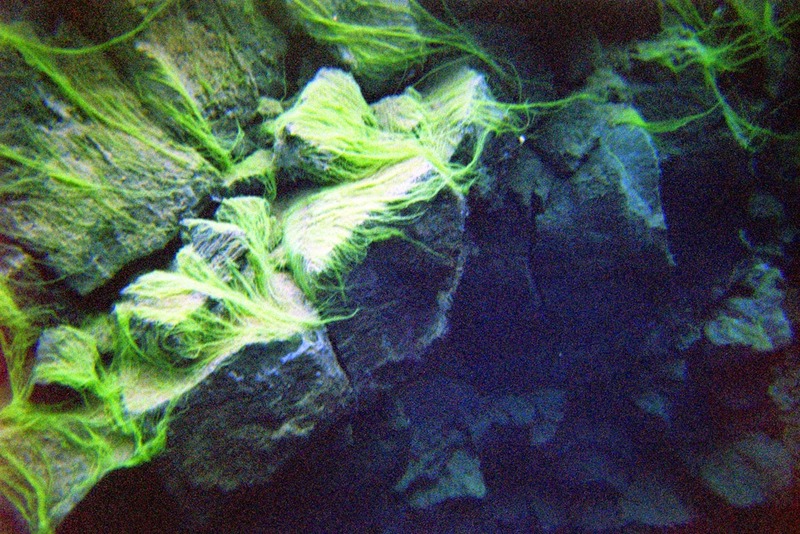 Though there are no fish in Silfra you still get a clear image of some green "troll hair" as they call the algae, various rock formations, and sand. I Can't Swim, is This a Bad Idea? In a word, yes. There were two girls that could not swim, but felt the need to say this after they were already in the water. They were flailing around and making the experience unenjoyable for other snorkelers. Though you are mostly floating in your suits and the current is pulling you, it's still a good idea to know how to swim for this one. 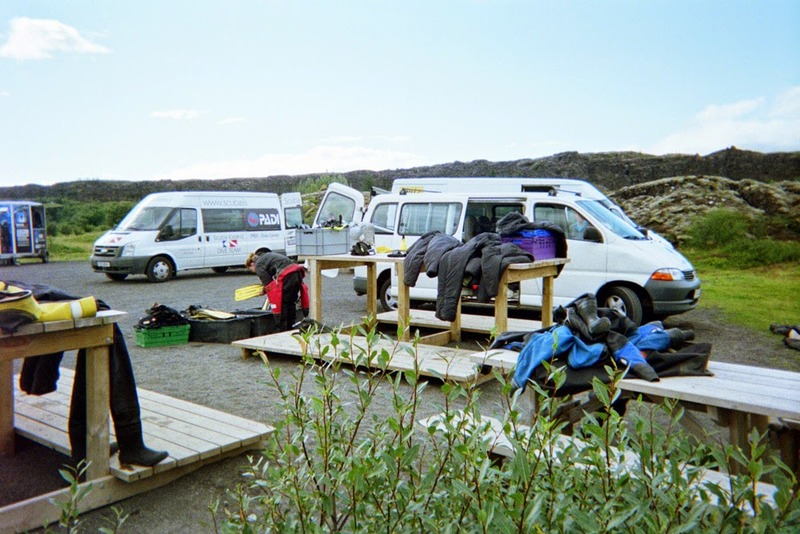 Yes, I don't usually fly to Iceland with dry suits. I booked this tour online through Arctic Adventure. But you can also book at their shop on the main shopping street in Reykjavik. I really enjoyed the experience. I feel like this is such a unique experience and such a beautiful landscape. You won't experience anything like it! 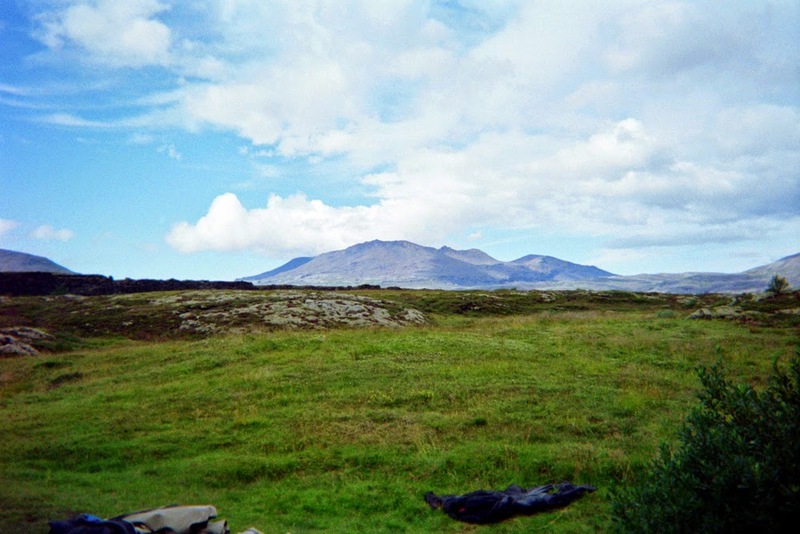 The image above is a picture I took because we were in Iceland during Gay Pride Week. 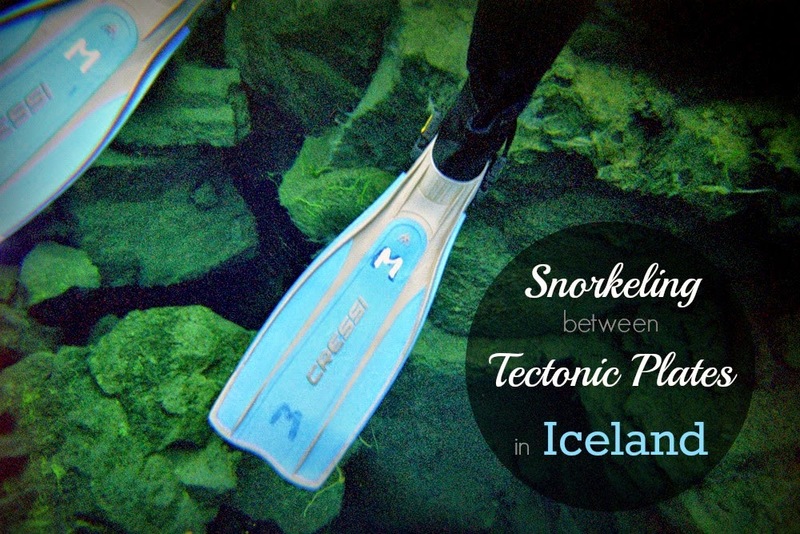 Would you Go Snorkeling in Silfra? LOL they were hilarious but also a pain because they were taking away the attention of our instructor. 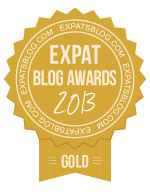 Oh I had heard about this - when I talked about heading to Iceland, my boyfriend had mentioned it! 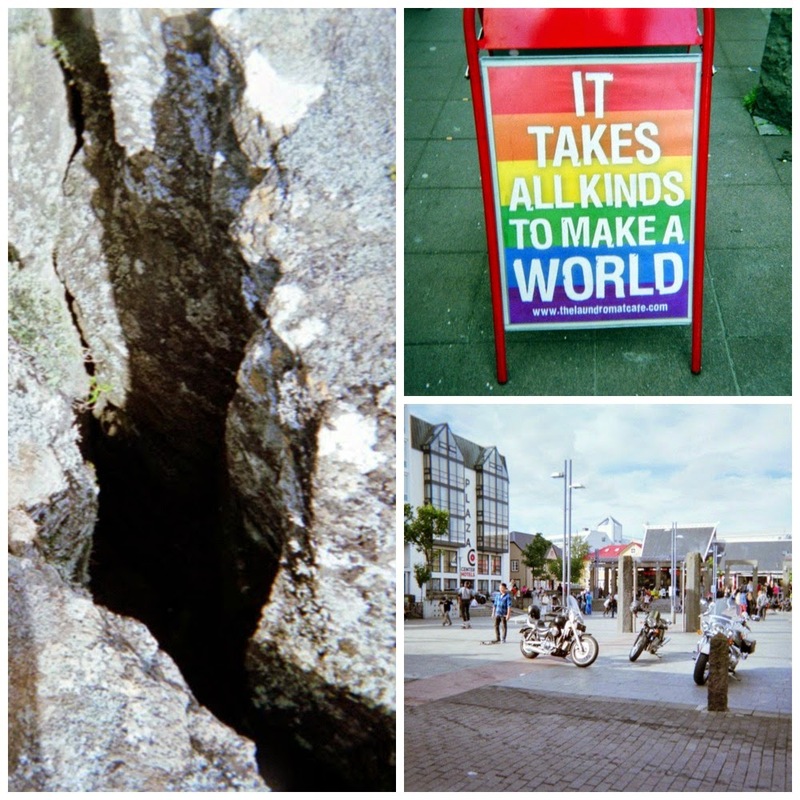 I was kind of convinced it must be super scary because I was picturing it like this massive crack (like a ravin) that goes to the centre of the earth ...yep I feel kind of stupid now that I see the pictures and it looks like a really cool experience! Haha yes I can totally see why you thought that. 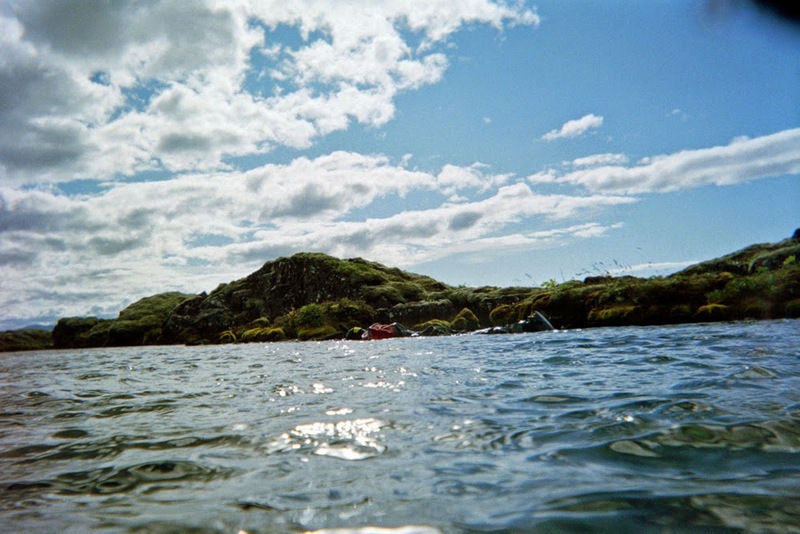 Divers actually go to a lot deeper sights than what wee go to. It's pretty cool though and not scary. This is SUPER cool. Thanks for sharing, that's just awesome. We went in December as fresh snow was falling, and it was still fantastic ! Definitely worth it. We booked with Dive.is however.. for their snorkeling/caving combo tour. Wow that sounds amazing in the winter, just beautiful. I guess even in the winter the temp of the water stays relatively the same but there are only like 4 hours of light in winter there so I'm curious about your experience. I would have loved to do that caving part also, we just didnt 'have the time. I Love the idea! 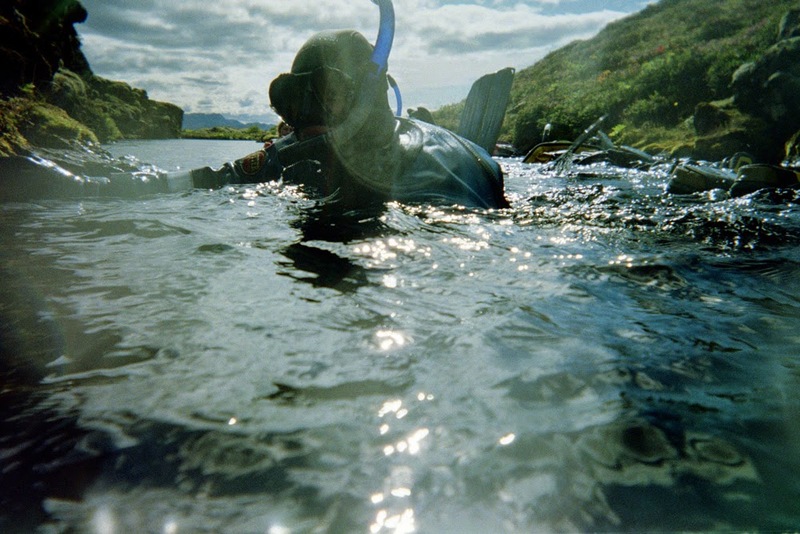 I would have never thought of snorkeling in Iceland but it's amazing! Thanks for sharing! Wow!!! I am going to Iceland in a few weeks and just opened up this page to have a look. What a cool experience. I can just imagine how cold the water would be! Yikes! Looks amazing! Diving here is on my boyfriends bucket list. Beautiful pictures. I would have loved to see fish too although, how many times can you say you've snorkeled between two continents? Yes, yes, yes, sign me up! What a fabulous experience!!!! I'm not sure there is enough to keep me entertained in there, but it is such a novel idea that I probably would jump at the chance. I'm definitely going to add this to the possible activities during our Iceland trip next year. I've always wanted to do this! How fun! LOL - I was shivering just reading this, I can't imagine how cold you were - but totally worth it. What an amazing experience, and cool photos too. 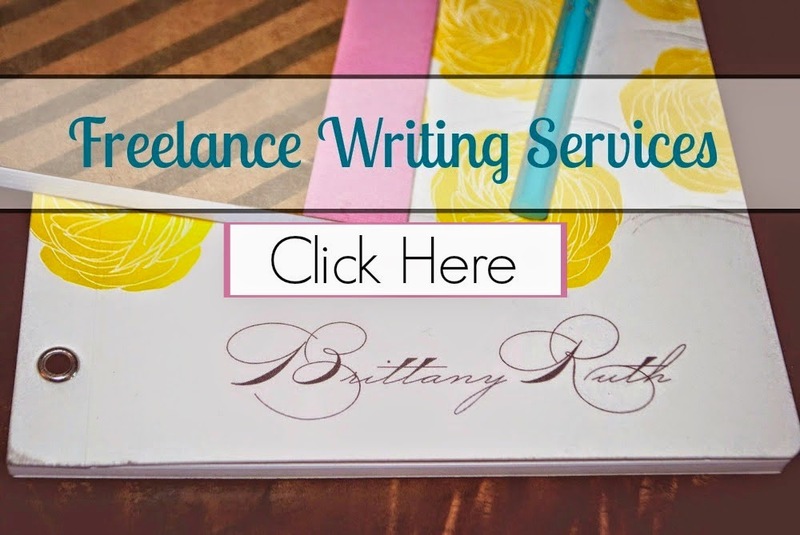 Wow what an experience - even the blog title had me gasping. I've never heard of this before. Such a cool thing to do! 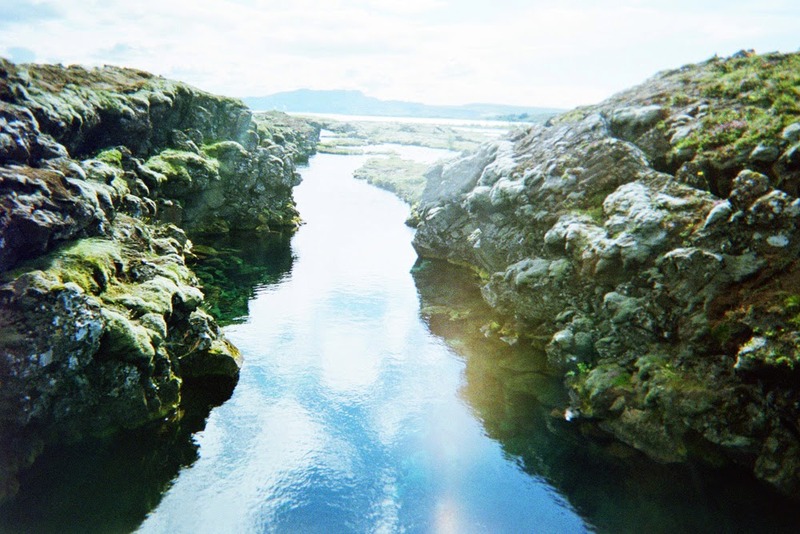 I was in Iceland this summer and heard about this but didn't do it as I was there with kids and on a tight budget but I'm very happy to look at your lovely photos of your experience!! "I don't usually fly to Iceland with dry suits." Awesome statement. I liked looking at your photos, especially of the troll hair. I am a complete wimp in cold water -- even San Diego is too cold for me to go in.